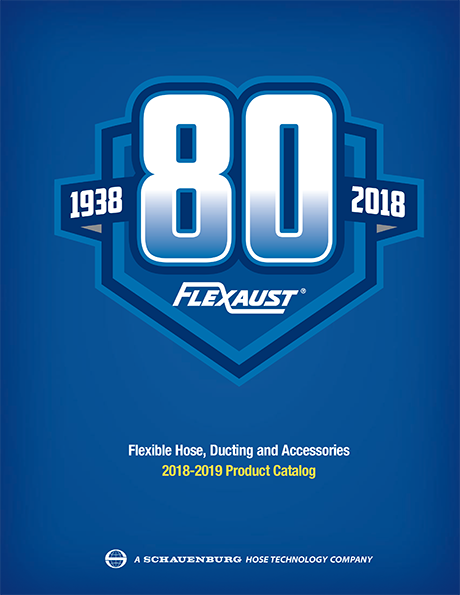 Flexaust introduces a full line of lightweight, reinforced PVC high-stretch hose that can be customized for upright-, canister-, central vacuum cleaners, and related cleaning products. 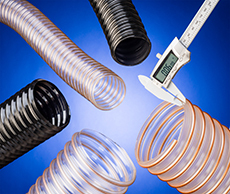 Flexaust Dayflex® Lightweight Stretch Hose features PVC construction reinforced with a vinyl coated spring steel wire helix and comes in a flat top style providing a >5:1 high stretch ratio or full block style with a 4:1 ratio. Supplied with custom engineered end fittings, hose assemblies can be designed to match functional, aesthetic, and economic requirements. 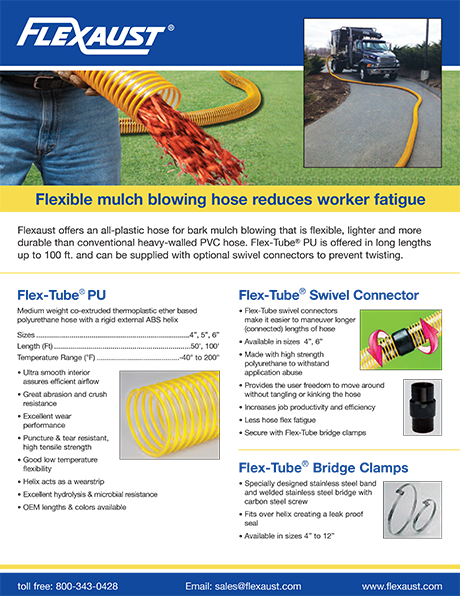 Extremely flexible and durable, Flexaust Dayflex® Lightweight Stretch Hose is offered in 3/4” to 2” I.D. sizes and standard lengths ranging from 2’ to 36’, depending upon style. 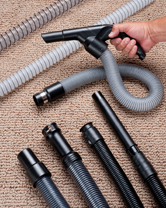 Suitable for virtually all vacuum cleaner applications, these hoses resist most chemicals, detergents, and abrasion and come in standard gray or can be custom color matched. 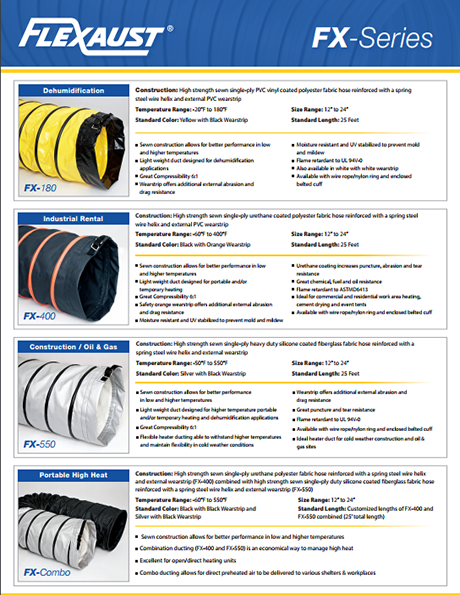 Flexaust Dayflex® Lightweight Stretch Hose is priced according to style, quantity, and customer design requirements. 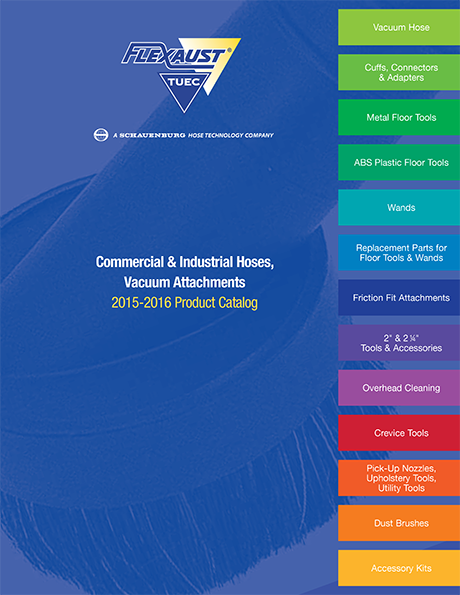 Price quotations and samples are available upon request.